When it comes to the Middle East, everything happens at a pace that is too fast to comprehend. Proxy wars, manipulations, and unjustifiable violence—unfortunately, a region so blessed and so beautiful is nowadays mostly known for all the wrong things. As of now, Iran-Arab relations are turning from bad to worse with sectarian rhetoric and regional rivalries resulting in a weird form of power struggle that will have many losers, and probably zero winners. 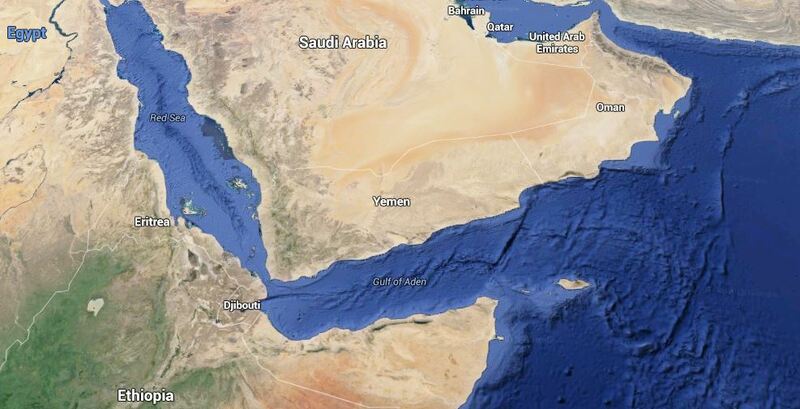 Both Iran and Saudi Arabia have entered into a stare-down in Yemen, and with nearly all the major states of the region taking sides, the flames of these tensions are reaching as far as Turkey and Pakistan. Add to it the fact that the recent nuclear deal between P5+1 and Iran can affect regional strife even further, and the chances of a zero sum game look even bleak. At this point, one needs to wonder: what can be the possible solution for Middle East? How will Iran’s nuclear deal affect Saudi Arabia’s terms with the US? Will this lead to a possible cooperation between the US and Iran? It must be noted that Iran did help the US against the Taliban back in 2001. Both Israel and Saudi Arabia are not too pleased with this nuclear deal. Will it mean that they resolve their differences and take a principled stand against Iran? Even more so, how the hardening power triangle in the region, Israel, Saudi Arabia and Iran, react? Will it lead to an even greater three-sided sectarian conflict? On paper, Saudi Arabia is fine with the US-Iran nuclear deal. Does it mean the US will help Saudi Arabia in its regional endeavors as a return of favor? If so, will the US openly oppose Iran’s stand in Yemen? A big factor here is the rise of The Islamic State (or ISIS, or ISIL, or Da’esh, whichever name you like to use). Virtually every player in the region is not fond of IS (accUStions and conspiracy theories aside, IS surely does not have any open supporters per se). In fact, the recent nuclear deal might just have happened as an outcome of the fact that US needs Iran to fight against IS in Iraq and possibly in Syria. Recently, at the Turkish-Iranian summit, Iran gave a warm reception to Turkish President Erdogan. Even though both Turkey and Iran do not see eye to eye on various issues, they still managed to agree to double their trade from $14 billion to $30 billion. The same model should be implemented in case of Saudi Arabia and Iran as well. Diplomacy is the way forward, war is not. Of course, such a summit seems unlikely as of now, especially because the Islamic Middle East has multiple players in the picture: Turkey on one hand, the Saudi Arabian party on the second, and Iran and its friends on the third. More importantly, the volatile borders in the Middle East are surely not sensible, and a good number of them were drawn not by legitimate methods but as a by-product of imperialism. The divisions in the Middle East—be it the case of Iraq, or Syria or Palestine or even Saudi Arabia and Iran themselves—are more artificial and less logical. But this is precisely why diplomacy can be helpful. As a matter of fact, the best way forward for the Arab World would be complete unification, in sync with the aspirations of the Arab people and against the wishes of both Israel and oil-hungry West. Sadly, that seems unlikely as of now, and whether you like it or not, Saudi Arabia is the de facto face of the Gulf. As such, any solution will have to acknowledge the reality and focus on arriving at a conclusion thereafter. Similarly, Iranian borders and desires may be questionable, but it does stand tall as a powerful Islamic entity, and can serve as a legitimate check against Zionist aggression (something that the Arabian powers have failed to do so far). Right now, the most plausible solution to the crisis in Yemen as well as Syria would be a diplomatic arrangement between all the parties involved, sans the foreign detractors. Probably Turkey and Qatar can mediate, whereas Saudi Arabia, Iran and other relevant parties can sit together and discuss the details. Daydreaming? Might be, but it is still better than engaging in dumb sectarian strife and offering additional leverage to NATO and Israel. Both Saudi Arabia and Iran are currently involved in a race to the bottom, with each party declaring itself to be the sole voice of sanity. In such a tug of war, there are no winners, and if the current trend continues, all of Middle East will fight its way back to Stone Age. For the Middle East, unification is the cure, but since that is not happening anytime soon, unity is what we should strive for.